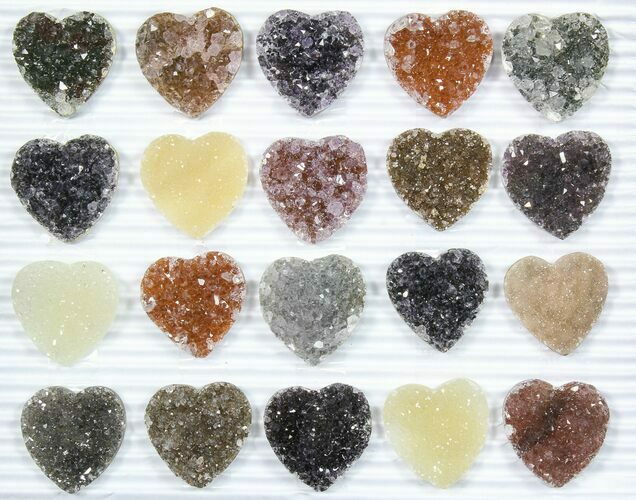 This is a wholesale lot of heart-shaped amethyst and quartz clusters mined near Artigas, Uruguay. There are 20 pieces in the lot which are approximately 1" wide and average about .4" thick. You will receive the exact lot pictured. 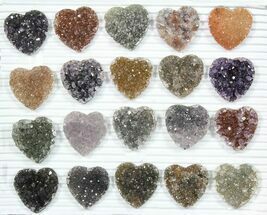 At the listed wholesale price, each heart is about $10 and can easily retail for twice that price on average. 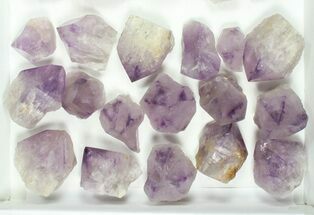 While Brazil to the north is a much more prolific producer of amethyst, the amethyst mined near Artigas, Uruguay tends to be much darker with higher quality crystals. 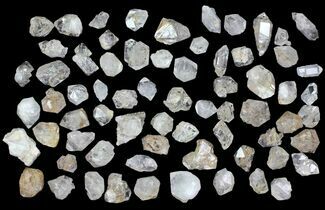 We import out material directly from the mines in Uruguay allowing us to offer it at better retail prices than anyone else. 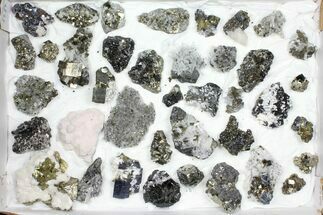 We carry a large variety of geodes, amethyst clusters, and collector quality crystal formations. Amethyst being mined in Uruguay from the hard volcanic rock. 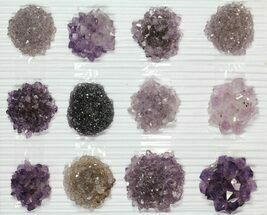 Amethyst is a purple variety of quartz (SiO2) and owes its violet color to natural irradiation, iron impurities, and the presence of trace elements, which result in complex crystal lattice substitutions. It’s considered a semi-precious gemstone, and just two centuries ago was considered to have a value on par with diamonds, sapphires and rubies. 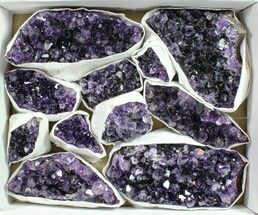 The largest, and best known amethyst deposit occur in southern Brazil and Uruguay but many localities around the world produce an amazing variety of amethyst crystals and formations.